It is that way. The electronic component market is in kind of difficult shape right now. That’s not to say that you’ll have to rework all of your products, but it is a point to pay attention and start putting plans in place to work around shortages. You can mitigate the risks with component shortages, but you need to get to work to insulate yourself from potential major headaches. What’s going on with the electronic component shortage? In short, we are in a component shortage that’s expected to last through 2018. We’ve seen shortages in the past, triggered by supply chain disruptions, obsolescence, production capacity, and other factors. This time, we’re looking at supplier merger and acquisition (M&A) as the main reason for the current shortage. In 2016, tech and semiconductor mergers were at an all-time high, resulting in some truly enormous companies. When suppliers with common products merge, the number of vendors for those products is typically reduced by one. The supply chain that remained simply could not handle the growth in demand while trying to consolidate under these new companies. Stock availability is down, putting pricing in flux. Even printed circuit board assemblies (PCBAs) are impacted. The common value chip resistors and capacitors for PCBAs used to cost less than a penny and now have reached double digits in some cases. None of this looks great if you rely upon the electronic component market. The only real steps you can take are to make the most of a bad situation. Part of the reason you probably started working with an electronics manufacturing service was to avoid some of these issues altogether. Unfortunately, your EMS only has so much control. But, you do have some options you can work through with your electronics manufacturing service provider. It all boils down to working closely with your EMS and doing everything in your power to not ignore this problem. Give your forecast for demand to your EMS as early as possible. Like with most things in life, the earlier you can plan, the more likely you’ll be to get what you need. With an early forecast, your EMS can share your needs with their supply chain partners, making it more likely they can secure the level of stock you’ll need and in the timeline you need. If you get a notice about timeline or price issues, respond to them quickly. 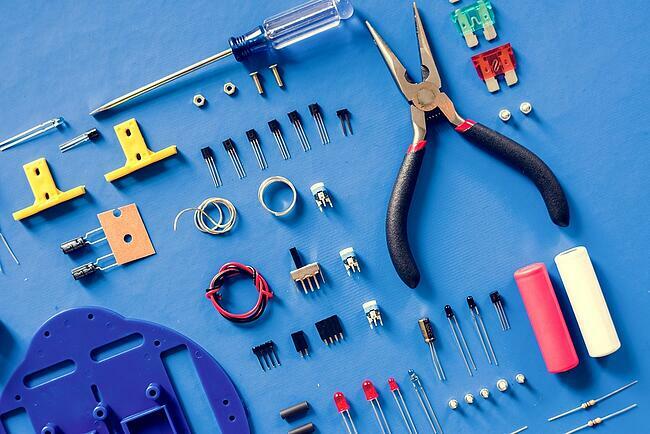 Think of your components as the hot kids’ toy at Christmas. Little stock can get snapped up quickly and you need to act quickly in order to be the one that gets their hands on those parts. Sometimes this might mean you need to approve special pricing so just be ready to give your “yes/no” ASAP to take advantage when components come available. As much as you need to ramp up communication with your electronics manufacturing service, you need to equally communicate with your customers and sales teams. Even if you do everything you can to avoid price fluctuation, there very well may be problems you can’t avoid. The more you communicate, the better chance you have of your customers understanding why they may experience price increases. Help them understand it’s beyond your control and what you’ve done to try and mitigate it to save those relationships with your customers. Work hard to offer alternatives to the components in your bill of materials. This helps your electronic manufacturing service generate ideas for alternatives to components that may become difficult to obtain. A good EMS partner will ask you for this information, but make sure you share this information and make it a point to always include it in your bill of materials. Maintain your trust in your electronics manufacturing service. If you’ve done your homework and are working with a solid EMS, they will have many contacts within the supply chain. That doesn’t give them a crystal ball for how to beat the shortage, but there is a reason they invest heavily in those relationships. Do not jump ship to some random internet broker. Like most things that seem too good to be true, they usually are. Along these same lines, do not “panic buy.” You’ll end up swamped with excess when the supply chain market eventually rebounds (it will! ), creating more problems. Also, you can ask your electronics manufacturing service provider to redo their quotes, even if it’s a product you’ve been buying forever. Ask them to re-quote prior to sending your next official order to make sure they can still meet the price and delivery stated in the original quote. This keeps you closely connected with the realities of your components day-to-day. A shortage does not feel good and unfortunately, the turnaround is still several months out. It’s not time to panic. It’s time to plan. Communicate your plans and your goals to your electronics manufacturing service to get the best chance at navigating this difficult time without too much pain. If you’d like to get additional information about how to navigate the components shortage with a quality electronics manufacturing service, contact Levison Enterprises. We can discuss lead-time issues, pricing, and other challenges you might be facing and help develop a strategy that can insulate you from further headaches.